The leaders listed below were essential to the successful launch of this important program and served on the Advisory Board from 2013 to 2017. Charlene is Manager of Business Education at the New Hampshire Community Loan Fund, a 30-year old nonprofit that turns investments into loans and education to create opportunity and transform lives across the state. She helps businesses by identifying skills to strengthen and connecting the owner and team with the right expertise they need to compete in a changing marketplace. Previously, Charlene owned, Kamigo Marketing, working with farms and food producers. She co-authored the New England Beef to Institution Marketing Study and South Hero Land Trust Milk Bottling Feasibility Study and was the coordinator for the NH Agricultural. Jim is an Agricultural Economist for USDA’s Rural Development agency. Jim obtained a MA in Cultural Anthropology and a PhD in Interdisciplinary Ecology from the University of Florida. Before joining the USDA, Jim worked extensively in the Middle East, Africa and the Caribbean with a number of nonprofit organizations and government agencies on agricultural development projects targeting smallholder pro-ducers. 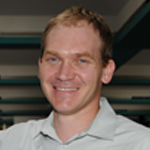 Jim joined USDA in 2007 where he has worked to improve marketing opportunities for small and mid-size producers through a combination of research, technical assistance, and grant support. Jim has presented research and published a number of articles on regional food hubs, food value chains, local food distribution, and foodservice procurement. He is also currently on the management team of USDA’s “Know Your Farmer, Know Your Food” Initiative – a USDA-wide effort to support the development of lo-cal and regional food systems. Sharon is the Regional Food Systems Program Manager at the Urban & Environmental Policy Institute (UEPI) at Occidental College, where she works on several strategies to “scale up” the regional food system. Over the last few years this work has focused primarily on regional food hubs as a means of increasing economic opportunities for small and mid-sized farmers while improving access to quality affordable foods in underserved communities. Sharon has a BA in Environmental Studies from Bard College and an MA in Urban Planning from UCLA. 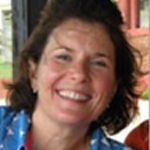 Ela is the Director of the Vermont Farm Viability Program, a program of the Vermont Housing & Conservation Board that provides business planning and technical assistance to farm and food businesses. Since 2006, Ela has managed and improved the quality of program services and provided professional development opportunities to strengthen the network of agricultural service providers in Vermont. She has a MA in Urban and Environmental Policy and Planning from Tufts University. Ela is also an avid gardener, a dancer and dance teacher, and lives in East Montpelier with her husband and two young boys. Laura began her career in family farm activism at the Cambridge, MA based non-profit Farm Aid where she staffed and managed a national farm crisis hotline, developed a web-based platform to connect thriving farmers with farmers in need and penned a monthly consumer advice column “Ask Laura.” Laura has worked as a free-lance writer and consultant to many organizations working to promote the role of farmers within their core values. At Red Tomato, Laura spent seven years learning the ins and outs of the entire operation before stepping into the role of Executive Director, in partnership with Founder Michael Rozyne, in Jaunary 2015. As her first sales initiative, Laura helped to develop Red Tomato’s Freshness Initiative which brands short supply chains based on a 24 hour turnaround from farm to retail shelf through mainstream distribution channels. Since then, Laura has also been instrumental in developing Red Tomato’s most recent program – a direct store/school delivery program that brings together farm-fresh produce from five states to 40+ retailers and institutions in Massachusetts and Connecticut. Eric convened this program’s original national advisory board and VT-based task force. He managed the U.S. Program for the 2012 International Year of Cooperatives through the National Cooperative Business Association. He serves on the Vermont Working Lands Enterprise Board and was on Vermont Agriculture Innovation Center board. Through those two initiatives, he collaboratively allocated over $2.7 million. He led the NESAWG Processing Infrastructure Work Group for two years and guided the development of the Neighboring Food Co-op Association—a New England network of 35 food co-ops responsible for over $30 million of local product purchases annually. In Western MA, he facilitated the formation of the Franklin County Food Council and served on the board of Franklin Community Co-op, an $8 million food retailer. His organizational development career includes four years at Dialogos, a management consulting and leadership development firm that catalyzes organizational transformation through collaborative leadership. Eric holds an MFA in Integrated Media from CalArts, where he led a design team in Apple Computer, Inc.’s Apple Design Project. He holds a BA from Brown University. Jeff came to food systems work circuitously, via website programming and teaching high school physics. A senior program associate of the Wallace Center at Winrock International, he is perhaps best known for producing the acclaimed National Good Food Network webinar series, a monthly event featuring ideas and examples of scaling up Good Food. His work at the Wallace Center has focused on food hubs, creating communities of practice, communications and program development and management. He is a graduate of Brandeis University. Tracy earned a Food Hub Management Certificate from the University of Vermont as a member of the second cohort. Her program work was in a consulting role with a budding hub. Tracy has been the director of Rogue Valley Farm to School since 2009, where she has focused on increasing local purchasing for school meals as well as state and federal policy that provide better access to fresh food for all students. Tracy is on the Oregon Farm to School & School Garden Network board of directors. She is a council member of both the Oregon Community Food System Network and Rogue Valley Food System Network, and their wholesale development subcommittees. She is a member of the Oregon State University Extension Small Farms and Rogue Farm Corps advisory committees. 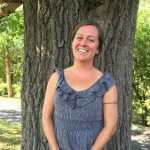 Tracy has been actively advocating for sustainable agriculture and healthy eating for 20 years; starting new farmers markets, providing marketing consultation for farms and CSAs, managing growers markets, and working for farm & food nonprofits. Robin Morris is the founder and director of the Mad River Food Hub L3C, a food business incubator with licensed, shared use, vegetable and USDA meat processing, storage and distribution facility. Robin has 30+ years of Business Management Experience in the private sector, the last 15 years with multiple foods related businesses including CFO at American Flatbread Company. His years of experience helping new and existing businesses grow is now being applied to the food system. Kathy Nyquist is founder and principal of New Venture Advisors LLC, an advisory firm specializing in food system and food enterprise development. Since 2009, NVA has led more than 50 development projects in North America, building businesses across the food value chain from small family farms to food companies, grocery and foodservice outlets, and the intermediaries known as food hubs which connect regional supply and demand as aggregators, processors and distributors of locally-produced food. NVA advises local, state and federal governmental agencies, academic centers, foundations, community groups, grassroots organizations and entrepreneurs who seek to change their local food system through infrastructure investments. Kathy has over 20 years of marketing and strategic leadership experience with Fortune 100 companies. She served on the integrated marketing leadership team for a $5 billion product portfolio at Kraft Foods. Kathy previously managed accounts at Leo Burnett and Young & Rubicam, then the nation’s largest advertising agencies, developing national campaigns for Coca-Cola, Frito-Lay and Miller Brewing. She graduated with honors from the University of Chicago Booth School of Business, where she earned an MBA. Rich is the Senior Associate Director at the Center for Regional Food Systems at Michigan State University. His work includes leading the Michigan Food Hub Network, coordinating the Center’s involvement in the Michigan Good Food Fund, and providing oversight to the Center’s Michigan Good Food Charter Phase II efforts. From 1990-2011 he was associate director and program leader for marketing and food systems at the Leopold Center for Sustainable Agriculture in Iowa. At the Leopold Center Pirog directed the Value Chain Partnerships (VCP) project, an Iowa-based network of food and agriculture working groups that provides technical assistance to farmer-led food businesses. Pirog’s research and collaborations on local foods, food hubs, food networks, and food value chains has been publicized and cited widely across the U.S. His recent writings include economic impact of local foods, evolution of the local food movement, structural racism present in the U.S. food system, and building networks to address social, health and economic challenges in the food system. Shanna is the Principal of Yellow Wood Associates, Inc. Shanna has over 27 years of experience managing complex research and capacity building initiatives and analyzing rural economic development opportunities. She has worked closely with federal, state, and local governments, citizen groups, and nonprofit organizations in identifying and implementing solutions to a range of economic development challenges. Shanna was one of a dozen members of the Aspen Institute’s Learning Cluster on Rural Community Capacity Building, a member of the first class of Donella Meadows Fellows in Systems Thinking, and a Mel King Fellow class of 2012-2013 at MIT. Shanna holds a Master of Science degree in Agricultural Economics from Cornell University and a Bachelor’s Degree in Value Systems from New College in Sarasota, Florida. Stuart, former Founder and Principal of Regional Technology Strategies, Inc., is a consultant in Chapel Hill, North Carolina. He has over 40 years of work experience in public policy research and implementation across the U.S. and Europe, with an emphasis on education, rural development, and cluster strategies. Rosenfeld received a Lifetime Achievement award from the Competitiveness Institute in Barcelona. He founded an international alliance of community colleges dedicated to strengthening local economies, including through sustainable food systems. Rosenfeld holds an Ed.D. in Planning and Social Policy from Harvard and a B.S. in Chemical Engineering from University of Wisconsin-Madison. He is on the Board of Directors of the Southern Rural Development Center and South Arts. Robin is a consumer, health and environment community organizer. For nearly 30 years she has worked on building the alternative economic system at La Montanita Coop as newspaper editor and membership, community development and education coordinator. La Montanita Coop is a consumer cooperative owned by 14,000 New Mexican households, with stores in Santa Fe, Gallup and two stores in Albuquerque. Her writings have appeared in numerous periodicals, newspapers and books. She speaks regularly on a variety of food and cooperative issues at regional and national meetings and facilitates for communities that seek to design their own coops. She is the director of the new La Montanita Fund, a grassroots investment and micro loan initiative created to grow the regional food system and strengthen the New Mexican economy. Jesse has 35 years of experience in distribution, retail grocery and the natural and organic products industry. She served for more than 20 years as President and CEO of Blooming Prairie Warehouse, a major natural products distributor. She was Director of Natural and Organic Food for Roundy’s Supermarkets, and currently operates Prairie Ventures LLC, a consulting firm focused on business growth strategies. She helped to found the Iowa Valley Food Co-op, an online local food cooperative, and serves on the board of directors of Frontier Natural Products Co-op, the National Farm to School Network (NFSN), and Riverside Theater. Jesse is currently Chair of the National Farm to School Network, and a past President of the Organic Trade Association, the National Cooperative Bank Development Corporation, and the Iowa City Public Library. She holds a MBA with honors from University of Chicago and a MA in Clinical Psychology from University of Iowa. Darrow is the Portfolio Manager, Healthy Food Commerce Investments at Wholesome Wave—Darrow was raised in Durham, North Carolina where she learned to be a Duke basketball fan and do a back walkover (a feat she can still sorta do). Darrow went to an arts-focused public high school in Durham where she focused on drama and photography. She attended Yale University, graduating in 2007 with a degree in history. After biking across the country, she settled in San Francisco, CA, where she worked as a community organizer, development associate for an afterschool non-profit, and, then, an active transportation advocate. In 2011, she returned to Durham to attend Duke’s Sanford School of Public Policy where she focused on food and agricultural policy and worked on projects around creating access to healthy food and building a sustainable food system. Susie has been working in farming, education and food systems change since graduating from Oberlin College in 2000. 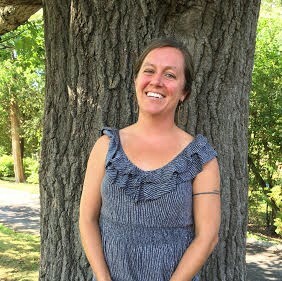 At The Food Project in Boston, The Edible Schoolyard in Berkeley and at various projects in between, Susie worked to connect people to their food, the land, and the endlessly complex world of food systems. As the founding Director of UVM Continuing Education’s Farmer Training Program, Susie supported aspiring farmers in building knowledge and skills for a career in sustainable agriculture. In her work at the Institute for Social and Economic Development, she brought her program management and farmer training experience to develop a curriculum for refugee farmer training projects across the country. She recently completed her Masters in Food Systems at UVM and is currently serving as the Agriculture Programs Manager for Vermont Conservation Districts, supporting water and soil health on farms across the state. 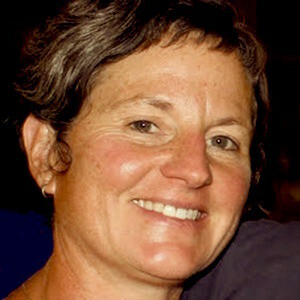 Ann is the founding Director of Fair Food, launched in 2000 to build a sustainable and humane local food economy for the Delaware Valley by connecting regional family farms to the Philadelphia marketplace. In 2003, she opened the Fair Food Farmstand in the Reading Terminal Market, Philadelphia’s first all-local food retail grocery store. She was a member of the Management Team that launched Common Market Philadelphia in 2008, one of leading food hubs in the northeast region, specializing in distributing local food to institutions. In 2011 she was appointed the Mayor’s Food Policy Advisory Council. Ms. Karlen consults with farmers and food producers, as well as intermediaries and wholesale buyers to help build lasting business relationships. Jean has worked across sustainable and local value chains with positions in food production, sales, education, community organizing, and wholesale distribution. After working as an organizer and market developer in the non-profit sector, Jean pursued studies in business management and acquired a Master of Management in Food and Beverage at SDA Bocconi in Milan, Italy. She then served as the Director of Communications for Black River Produce, a regional wholesaler of fresh, specialty foods based out of Springfield, VT. With a new baby at home, Jean now provides business consulting services to companies in the sustainable food supply chain.